Come ROCKOUT, workout and raise money for a great cause! 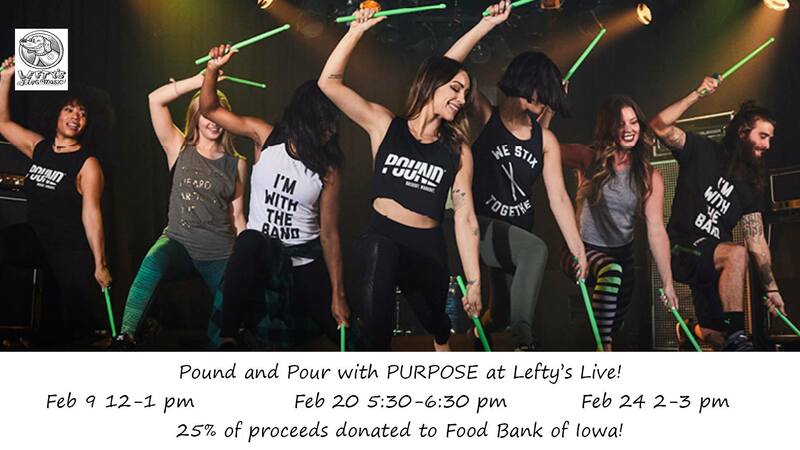 And what better place is there to rockout than Lefty's Live?! So let's get LOUD! with yoga and pilates-inspired movements. This full-body workout uses Ripstix (our lightly weighted drumsticks) to transform drumming into an awesome workout! And it's easy to modify! Pound is something that everyone can enjoy and join in on! So let's release your INNER ROCKSTAR and have some FUN working out! Afterwards, you can relax with your fellow rockstars with a glass of beer. It's included in your ticket! What you need to bring: Yoga mat and water! The mat isn't required, but is highly recommended. What to wear: Comfy clothes you can move in and tennis shoes!